Cute Puppy Pic Friday 136 – Still Have a Few Shots Left | KeaNeato! 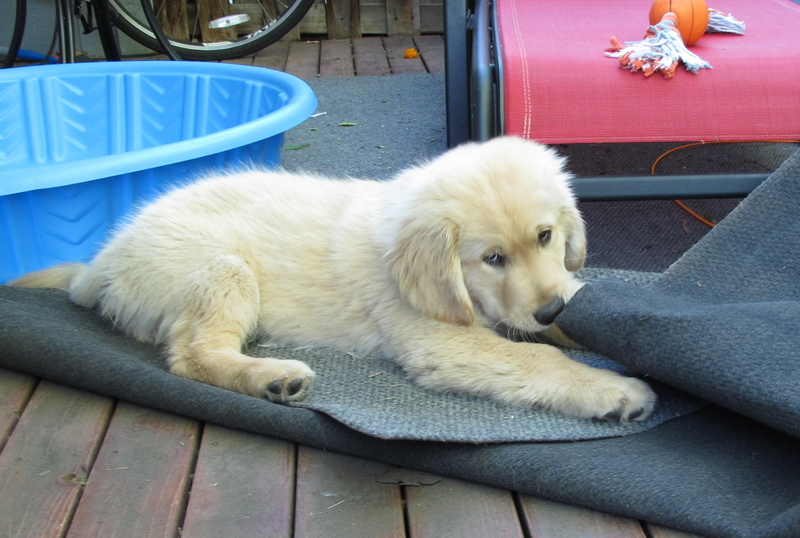 Found this one of Gem looking both like he’s ready to fall asleep and like he’s stubbornly going to chew this whole rug up. Photo by keagiles. This entry was posted in Cute Puppy Pic, dogs, POD (picture of the day) and tagged Gem, golden retriever, photography, puppy. Bookmark the permalink.